Teaching kids to give thanks in all things can be difficult, especially in a "me" society such as we live in today. 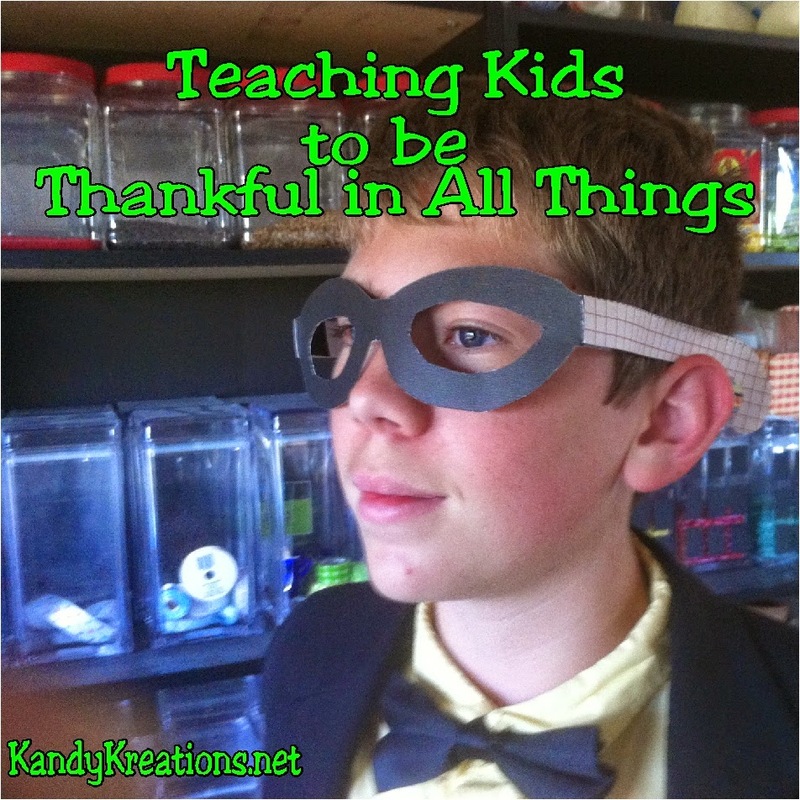 We used this lesson to teach our kids to be sure to give thanks in the good and the bad using a fun "perspectacles" activity. This lesson is one that our bishop gave to the youth in our congregation last week. It was based on Elder Dallin H. Oaks' talk "Give Thanks in All Things." I used this idea to give my own kids a lesson in giving thanks during our Family Home Evening. Elder Oaks says "The children of God have always been commanded to give thanks. There are examples throughout the Old and New Testaments. The Apostle Paul wrote, “In every thing give thanks: for this is the will of God in Christ Jesus concerning you” (1 Thes. 5:18). The prophet Alma taught, “When thou risest in the morning let thy heart be full of thanks unto God” (Alma 37:37). And in modern revelation the Lord declared that “he who receiveth all things with thankfulness shall be made glorious; and the things of this earth shall be added unto him, even an hundred fold” (D&C 78:19)." We then did an attention activity (we needed all these that we could get with the kids). I started with an empty cup, a spoon, and a pitcher of water. I asked the kids to tell me everything they were thankful for. 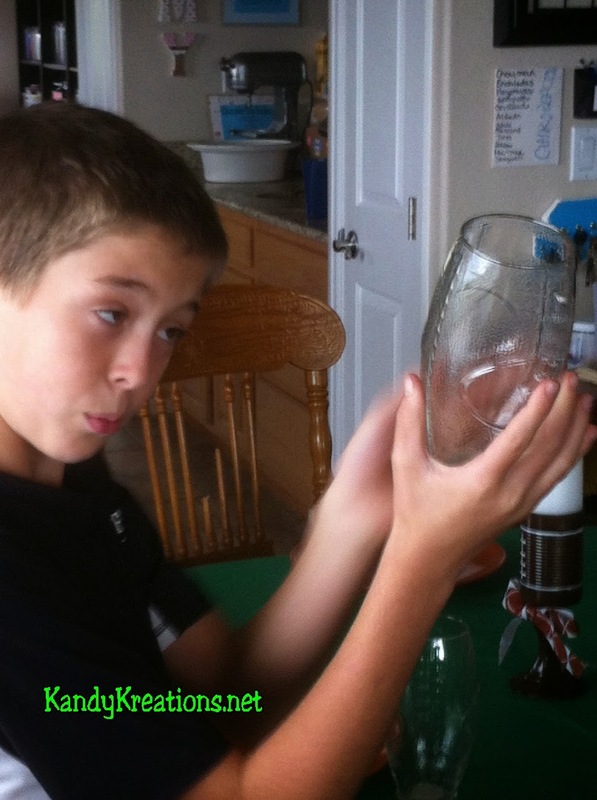 Every time they mentioned something, we added a spoonful of water into the cup until it was overflowing. We talked about how Heavenly Father blessed us with so much that our lives are overflowing with blessings everyday. We just needed to be able to see them. Then I showed them this picture, and asked, What then noticed first. Did you notice the blue sky in the picture? The beautiful clouds? The mountains in the background? 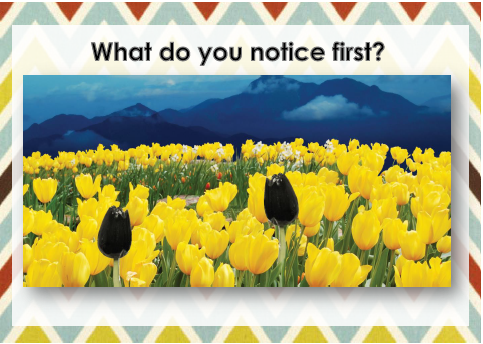 The dozens of flowers that weren’t discolored? There are so many beautiful things to be grateful for, and as we practice being grateful, we will notice them more and more." It's hard to give thanks during the hard times. So we asked the kids why we needed to do this more during these times than during the good times. We talked about how the bad times help us remember Heavenly Father and prepare us to become what He wants us to be. "“I give unto men weakness that they may be humble,” and then promised that “if they humble themselves … and have faith in me, then will I make weak things become strong unto them” (Ether 12:27)"
"“Know thou, my son, that all these things shall give thee experience, and shall be for thy good” (D&C 122:7)." We talked about the movie "Pollyanna" and how she managed to find the good in everything that happened around her. Then we talked about how we can practice that skill. 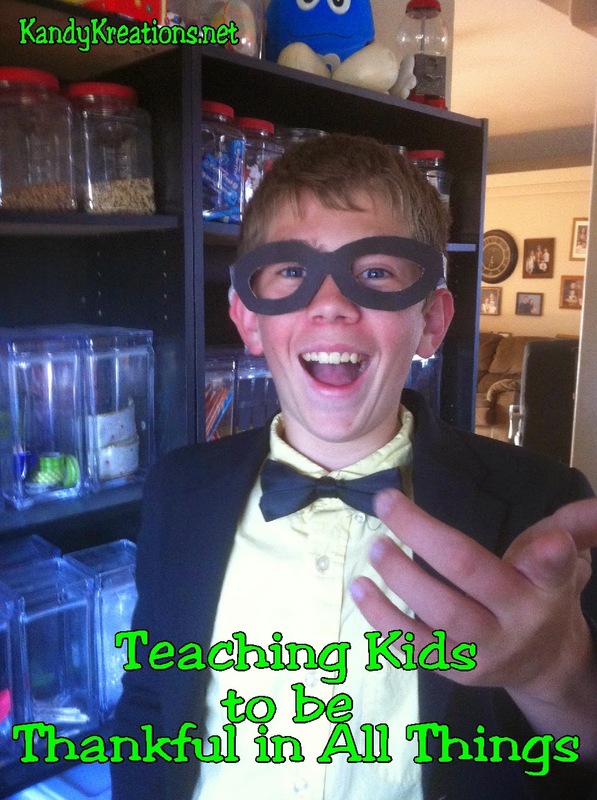 At the end of the lesson, we created "perspectacles" to help the kids look at everyday things in a new manner. 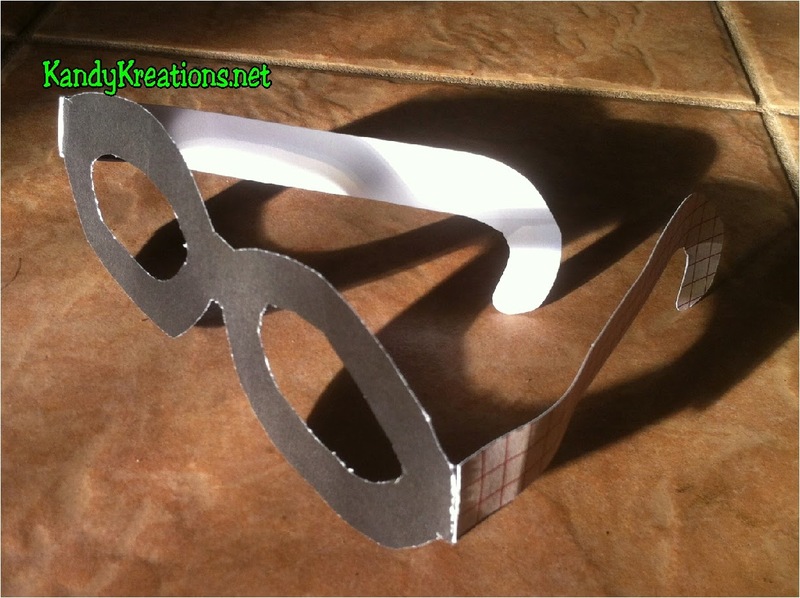 Perspectacles were paper glasses made from scrapbook paper to remind the kids to be thankful in all things. After putting on their "perspectacles" they were given a bag with everyday items in it such as a pencil, a bottle of water, a shoe, a light bulb, a glass, and a Book of Mormon. The kids had to come up with as many reasons to be thankful for each item as they could. We gave an award out for the group that could list the most reasons to give thanks.